Busy Bowl Club beta test is in full swing and we’re collaborating with our friends at The Brooklyn Kitchen for Instagram-worthy, up-to date and cool AF facilities. Bullish HQ is in Industry City and we’re lucky to be surrounded by fellow startups, innovators and small businesses. When we found The Brooklyn Kitchen, we knew it was the beginning of a beautiful partnership. 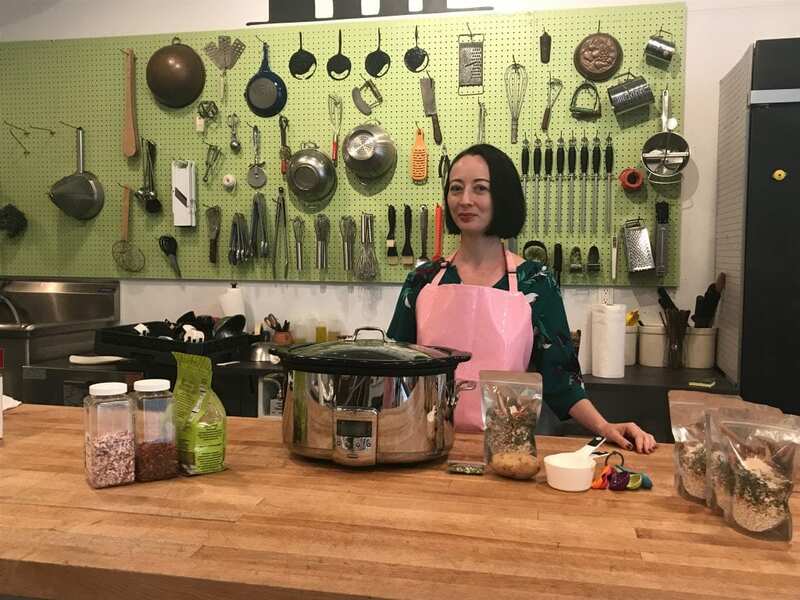 The Brooklyn Kitchen has been helping people learn to love cooking and rock #adulting since 2006. The kitchens offer cooking classes IRL and bring people together to create and enjoy a beautiful meal. We just completed our first shift in The Brooklyn Kitchen and can’t wait to get back in there to create more at-home meals that our #stewcrew can create. Here at Busy Bowl Club, we do the prep work so you can #slayallday. Our meals take 5 minutes to prep, slow cook all day and are ready to eat when you get home. So whether you’re a busy boss, a lazy food lover (no judgement!) or tired of endless carrot chopping, we’ve got you. Here’s a sneak peak behind the scenes at Busy Bowl Club. Sign up here for your invite when we launch this fall!